Ozone Park, Queens, NY (January 3, 2019) – Early on Thursday morning, January 3, police and paramedics were called after a woman crashed her car into a Queens furniture store in the Ozone Park section of Queens. The incident was reported to have happened at around 3:00 a.m. on Liberty Avenue. According to authorities, the driver of a silver Honda Accord crashed into the front of Salco Furniture after losing control of the vehicle while traveling north along 122nd Street. The vehicle, which was stated to have Florida tags, crashed into the store and shifted into a parallel position alongside the sidewalk due to the force of the impact. The vehicle caught fire, trapping the driver and two passengers inside. Thankfully, good Samaritans were nearby and successfully extinguished the flames. The driver of the vehicle, identified only as a 25-year-old woman, was quickly transported to Jamaica Medical Center where she has been listed in critical condition. Two passengers in the car, identified as a 41-year-old man and a 22-year-old woman were also taken to a local hospital for treatment. Their injuries are classified as non-life-threatening at this time. The events that led to the crash are currently under investigation. Above all else, our kindest and most genuine sympathies are extended to all three victims of this accident as we hope for their full recoveries. 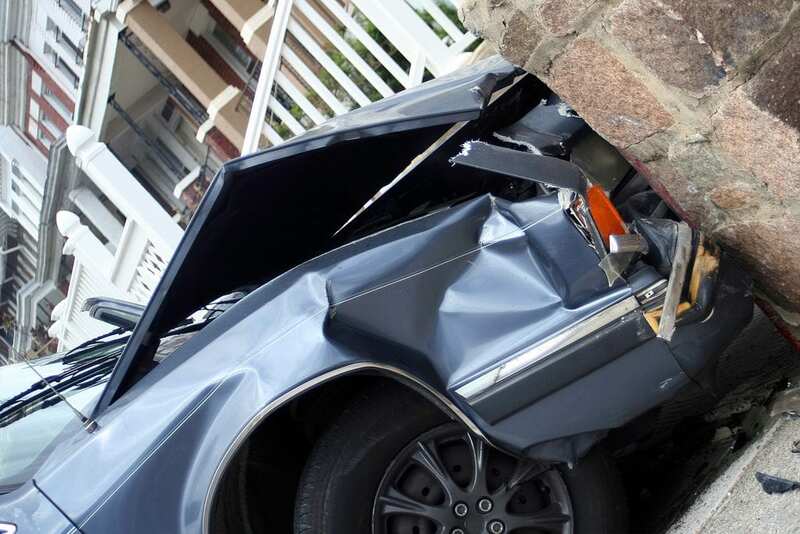 Following a car accident in New York, it is immensely important to realize that as the victim of someone else’s actions or mechanical failures beyond your control, you may have substantial rights. Our sympathetic New York accident attorneys at Hach & Rose have devoted their lives to helping the victims of negligent drivers and other entities. As members of the community, we are wholehearted about supporting those who have been wrongfully injured as we fight for the compensation they rightfully deserve. If you or a loved one have been injured in a collision due to another party or other entity such as a manufacturer, please don’t hesitate to call 212-779-0057 today.